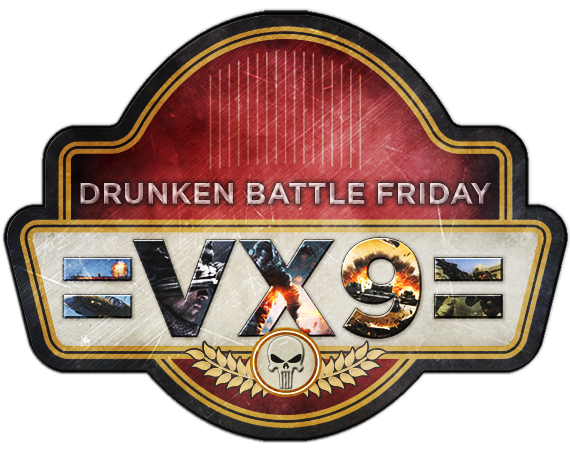 =VX9= Gaming Community - =VX9= Drunken Battle Friday!! Join us for Drunken Battle Friday this fine spring week (and spring break for many)! DECKS AGAINST SOCIETY @ 9:00PM EST - Join India for Decks Against Society this week! Follow link below for more info and India's raffle. DECKS AGAINST SOCIETY @ 9:00PM EST - This week Shadow Company is joining India Company for Decks Against Society! Check out the link below for more info as well as to enter the Shadow Company raffle.